John F. Kennedy‘s last-known autograph — signed hours before he was assassinated — is going up for auction … and it can be yours for a small fortune. The folks over at Goldin Auctions are handling the incredibly rare and historical item … JFK’s John Hancock on a small, spiral bound notepad the president hastily signed before boarding Air Force One on the fateful morning of November 22, 1963. You’ll recall, the President was in Fort Worth giving a speech before he headed to Carswell Air Force Base … where Air Force One was waiting to take him to Dallas. According to Goldin Auction, JFK took a pen outta his jacket and signed the notepad thrust towards him before a final wave goodbye. 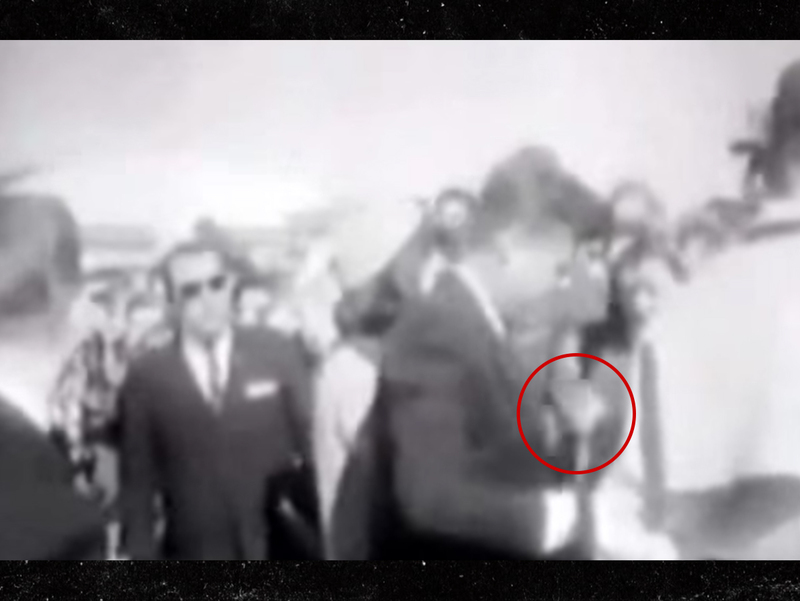 You can see from this footage on YouTube, JFK does exactly that. It’s quick, so pay close attention. As you know … JFK was assassinated by Lee Harvey Oswald in Dallas as the President and First Lady were riding in the presidential limousine. Check out the pics of the notepad … you can see JFK’s signature written in a red ballpoint pen with some light smudging below. It also features the owner’s notes in pencil on the historical significance of the signature … who claims it was signed around 10:25 AM — 2 hours before Kennedy was fatally shot.